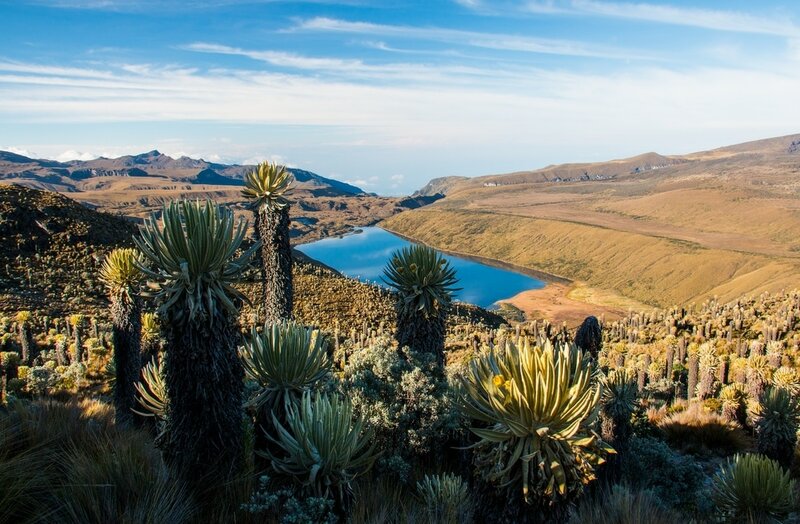 ​Entwine a trekking journey in the Colombian Andes with several community and environmental-based service activities that promote the protection of this remarkable mountain range. 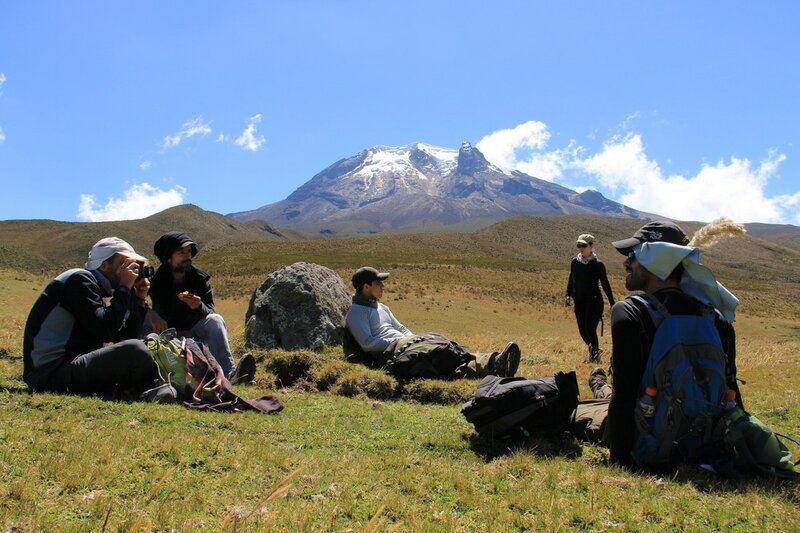 Led by expert biologist guides, students will experience some of the greatest hikes in South America while learning how to camp, guide, cook in the mountains and take professional nature photos. Our program includes reforestation projects and cross-culture learning experiences, promoting the protection of the region's unique elevated ecosystems - los páramos! 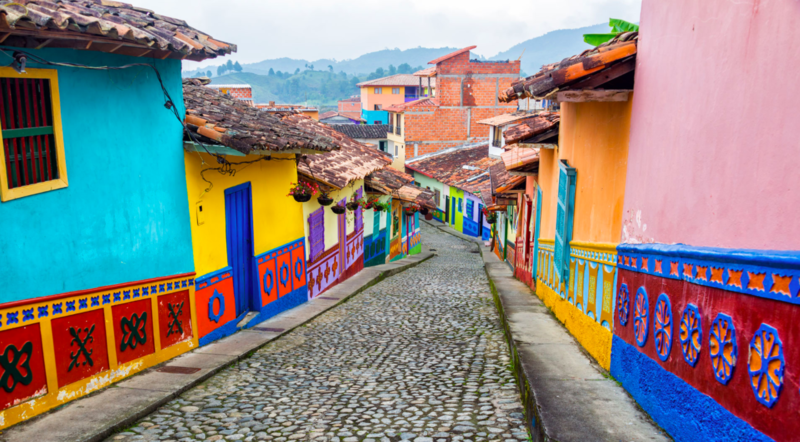 We spend a day in Colombia's capital, taking in some of the world's finest graffiti in the iconic neighbourhoods of La Candelaria. We visit the Museo del Oro and get acclimatised to the 2,600-meter-high city. We head into the rural Andean environment with a trip a mid-mountain lodge located just outside of Manizales. Here we discover a spectacular waterfall, look out for Andean condors gliding above, and enjoy a bonfire under the stars. 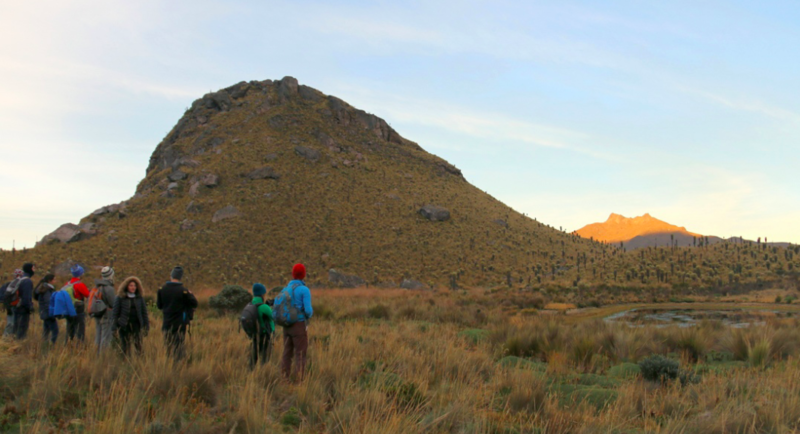 Today we experience our first páramo ecosystem with a hike to Laguna del Otún. As well as a spectacular hike we discover unique flora and fauna in this unique ecosystem that only exists in this part of the world. 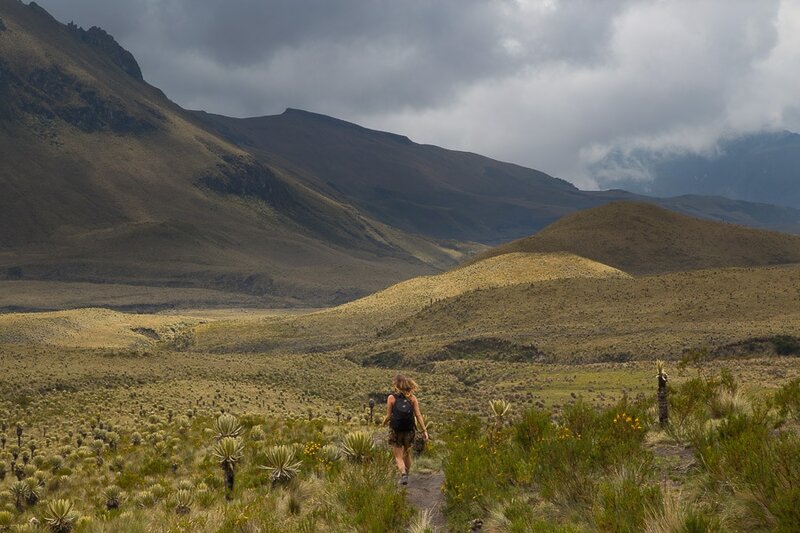 Our next hike takes us up one of three volcanoes in Los Nevados - Santa Isabel. We will reach the misty glacial peak, passing otherworldly ecosystems like mysterious cloud forests and bizarre vegetation like frailejones. Having experienced the beauty of Andean páramos, we meet a family who changed their way of living to protect these indispensable ecosystems. We join a local school in a reforestation project and a dynamic workshop exploring the importance of the páramos to the local water supply. We travel to one of the region's most popular and beautiful colonial town, Salento. Here, we discover how to produce the finest arabica coffee bean on the planet with a visit to an organic coffee farm. Students will enjoy free time in Salento, exploring the colorful artisanal markets. Thanks to our alliance with the sustainable pioneers at Kasaguadua in Salento, we deliver students an opportunity to discover how to live a more sustainable life by drastically reducing their daily carbon footprint. We enjoy an eco walk around this protected area and learn the best ways of reforesting a land with native vegetation. We head into el Valle de Cocora, hiking under one of the tallest palm tree species in the world, through cloud forests and to a beautiful humming bird sanctuary. Our expert guide gives us a lesson in nature photography before we set up camp under the stars. We set off early, ascending an alternative route in the Cocora Valley and enter a different ecosystem. We walk through cloud forests and catch a different, no less, spectacular look at the olive and lime-green valley dotted with wax palms puncturing the clouds above. After two days of trekking, we unwind and relax weary limbs with a visit to one of the sublime natural thermal baths. In the afternoon, we engage students in a thought-provoking Kagumu workshop designed to inspire each and every one to begin their own social and environmental project. Today we set students our final challenge which is to cook a meal using local produce gathered from an organic farm in the town of Quimbaya. We set students the task before the trip begins, enabling them to get into teams, plan and execute the best organic meal they can cook. Transfer back to Bogotá​ from Pereira. We end the trip with a visit to the stunning Cathedral del Sal - a salt cathedral located 1 hour from the city. For our last meal we visit Colombia's favourite restaurant with a impactful social innovation history. Note: most rooms are shared, sometimes accompanying professors will enjoy private suites. After years of planning, Kagumu's team of experts have crafted a trip which emphasises the need to protect native ecosystems in the face of climate change. Using our in-the-field activities, students will learn how to become trekking guides, prepare their own meals in the mountains, camp together and explore delicate ecosystems without leaving a large carbon footprint. They will also learn how to engage in good reforestation practices, cook their own sustainable meal and, most importantly, gain inspiration to begin their own social or environmental project back home.